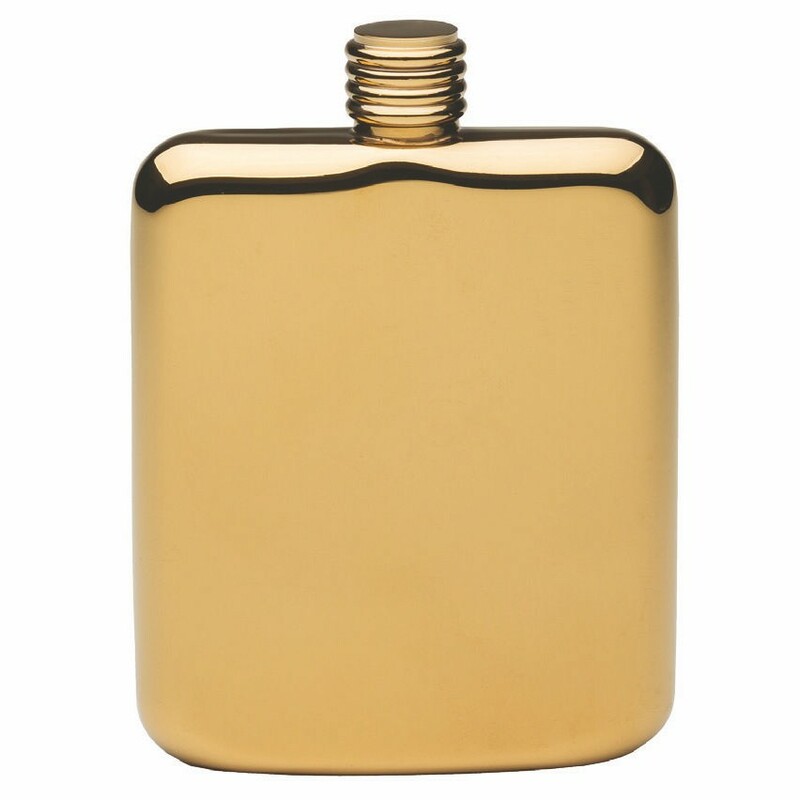 Stylish and highly polished to a beautiful luster, these pocket flasks are smoothly rounded. Unique ridged screw top cap. Stainless steel. Gold Plated, 6 ounce capacity. 5” H, 3-5/8” wide. Imprint area: 2 1/2” x 2”. Metal Laser engraving avalable. 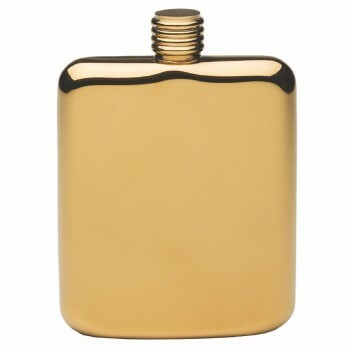 You're reviewing: Gold Plated Sleekline Pocket Flask, 6 oz.